I recently watched the movie The Best of Me, which is based on the novel of the same name by Nicholas Sparks. After watching the movie, I just had to read the book and found it to be surprisingly similar to how the plot was represented in the film. The setting of the story starts off in the spring of 1984 at the small town of Oriental, North Carolina. Amanda Collier and Dawson Cole are two teenagers that fall deeply in love until unspeakable events cause them to drift apart and move in different directions. Dawson Cole comes from a bad background; he was always abused by his father and treated even worse by his father’s friends. One day, Dawson was accepted by an elderly man named Tuck Hostetler who lost his wife years ago. Tuck provided Dawson with everything he needed, and was extremely kind towards him for being a teenager that showed up at his doorstep with some bruises and cuts. During the day of the senior prom, Dawson and his best friend leave for the dance, while back at home Tuck is attacked by Dawson’s horrible father and friends. Dawson forgets something and turns the car around, only to find Tuck sprawled on the floor, hurt on his head. Dawson grabs his shotgun and drives recklessly to his father’s place to enact revenge. Unfortunately, tragedy strikes at home resulting in Dawson being sent to jail. Amanda visits Dawson at the jail every day for a year and weekly for many years, but Dawson refuses to see her since he believes that she is better off without him. Eventually, Amanda gets married, and Dawson and her reunite due to the unfortunate circumstances of Tuck’s funeral twenty-five years later. They spend time together, and realize how good it felt for them to be with each other again, even though Amanda does have two kids with her current husband. When Amanda is back home from the weekend spent for Tuck, her son gets into an accident and is in need of a heart transplant. Dawson is still at Tuck’s place, since he does not have any family or anybody to go back to. Amanda and Dawson’s lives are once again changed as a result of an unfortunate turn of events. I fell in love with this story as soon as I finished reading because of its key message: even when your soulmate drifts away, their love always remains with you. 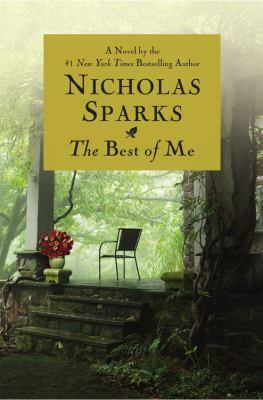 The Best of Me is available to check out from the Mission Viejo Public Library. It can also be downloaded onto tablets and mobile devices from Overdrive. Posted on October 27, 2015 by Ahmed H.
A superhero film isn’t meant to be incredibly serious. A superhero film isn’t meant to carry emotional weight. A superhero film isn’t meant to be regarded as one of the greatest films of the 21st century. So when The Dark Knight was released back in 2008, it truly wowed fans and critics. The second installment in Christopher Nolan’s Batman trilogy, it follows Bruce Wayne, played by Christian Bale, as he deals with a new threat, The Joker, played by the late Heath Ledger. This isn’t so much a superhero film as it is a crime thriller. No special effects, no green screen, just unfiltered cinematic brilliance. First of all, the film is shot very well with perfect camera angles and music that fits each scene. The plot is a cat-and-mouse game, with Joker performing a series of attacks on Gotham City. Batman attempts to save the day only to find Joker one step ahead of him each time. The Gotham police department is led by Commissioner Gordon, played by Gary Oldman. The relationship between Batman and Gordon, and also attorney Harvey Dent, is what drives the hunt for the Joker. What really makes this film so legendary are the performances. With an all-star cast, consisting of names such as Michael Caine and Morgan Freeman, the supporting characters are all quite interesting and play essential roles in the story. Christian Bale of course does a marvelous job as Bruce Wayne. But Heath Ledger really steals the show as Joker, putting on one of the best performances of the last decade, probably the best villain performance of all time. Maniacal and psychotic, yet deep and compelling all at once, Joker owns nearly every scene he’s in. The Dark Knight is not your average superhero movie. It provides better plot, performances, music, and cinematography than most movies you’ll see nowadays. Any fan of thrillers, crime dramas, action, or Batman should definitely go see this. 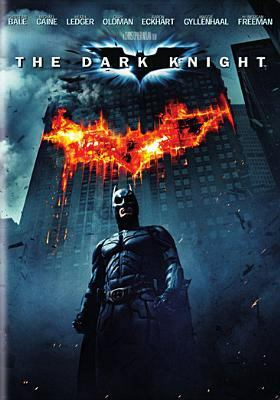 The Dark Knight is available for check out from the Mission Viejo Public Library. Posted on October 25, 2015 by Maya S.
The year is 1940, the dawn of World War II, and Demark is under German attack. Very few are fighting back, taking a stand or doing anything other than watching from the sidelines as disaster unfolds. Knud Pedersen, 15 years old, will not fall without a fight. Knud wants the German soldiers to go home. This reminded me of the song “Get Back” by the Beatles, especially the line “Get back to where you once belonged.” He believed, much like many, that the Germans did not have permission to take control over the Danish. So, he and his brother, Jens, along with a handful of schoolmates took action against the Nazis unlike their “role model” parents. Knud first put together a group called the RAF club, named after British pilots. Anyone who was willing to prove that they would do anything to rebel and stand tall for Denmark’s freedom was gladly accepted. This was the beginning of their rebellious acts. But, after busting German signs and vandalizing brick walls with their insignia, the Pederson family moved. But, did this stop them? Persevering for what they believed in, in their new town, they organized another group, still without their parents’ knowledge. Naming their secret club after the fiery British leader, the young patriots in the Churchill Club committed countless acts of sabotage, infuriating the Germans, who eventually had the boys tracked down and arrested. But their efforts were not in vain: the boys’ abuse and eventual imprisonment helped ignite a full-blown Danish resistance. Combining his own narrative with the recollections of Knud himself, Phillip Hoose tells this inspiring story of these young war heroes. At the end of this motivational story, I was reminded of the song, “I Will Be Heard” by Hatebreed. This song just brought back the memories of this book, and how the whole time, the message the Churchill Club was sending was that they wanted to be heard. A short story, but still an empowering one, I would give The Boys Who Challenged Hitler a 10/10 for its gruesome adventure and determination. 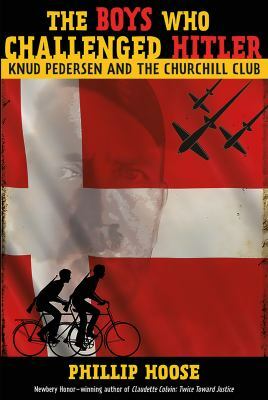 The Boys Who Challenged Hitler is available for check out from the Mission Viejo Public Library. Posted on October 23, 2015 by Anmol K.
Surviving Antarctica: Reality TV 2083 by Andrea White is an adventure novel about a group of five fourteen-year-olds with different backgrounds selected for surviving together in Antarctica. In the year of 2083, society has changed. The government still exists, but the way the country is being run is different. Television is a major part of everyday life. The government has added a Department of Entertainment because most things, including education, are learnt through television. Schooling beyond high school is only possible by a process called The Toss. Otherwise, you are on your own for schooling. The Department of Entertainment makes a series of programs called Historical Survival. This series takes important historical events and does reenactments with people (contestants). This time, the Department plans on an Antarctica Historical Survivor, but instead of adults being contestants, kids will be. Without the possibility of an education beyond the eighth grade, Andrew, Robert, Billy, Polly, and Grace are selected as the contestants for the Antarctica Historical Survivor. Surviving the bitter cold, these fourteen-year-olds must muster up courage to survive. Picking up this book, I was intrigued by the plot line. The premise of the book was appealing to me. I am a fan of the genre of survival/adventure and this book is right up my alley. Generally, the book was okay. I liked the beginning and how each of the characters was introduced in their unique ways. As the story continued, I started losing interest. For me, at least, the book was written in very basic language, making it slightly boring to get through. As I continued, the book picked up when the kids reached Antarctica. I admired how they were brave and how they bore the cold. 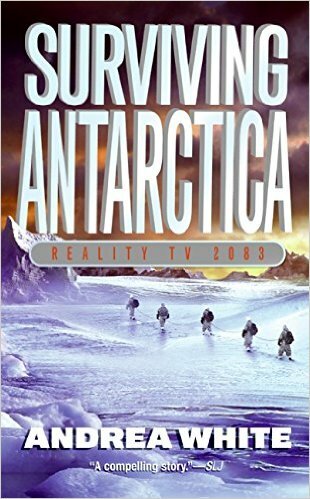 Overall, Surviving Antarctica: Reality TV 2083 is a good book for anyone looking for an adventure novel. Posted on October 21, 2015 by Kaylie W.
Fast food has become an inescapable aspect of the modern world—especially for Americans. We drive along the freeway, see the recognizable Golden Arches, and think it’s typical to pick up an order of burger and fries after a long, stressful day since we are just too lazy to make the effort to cook a healthy meal. The obesity rate in America has soared in recent years. How can we escape the chains of fast food that have grown to be so normal in our daily lives? After reading Fast Food Nation for a summer assignment, my whole view on fast food has definitely changed. I’m sure everyone knows that fast food has dire consequences, but Schlosser brings to light many of the secrecies that are skillfully hidden from the public. The detailed account of dangers of working in the meat factories, as well as the sanitary issues of how meat is processed, is appalling. I usually don’t prefer to read non-fiction works, but Fast Food Nation was definitely a captivating, eye-opening read that I recommend to all Americans of any age, for it will forever make you question that burger you are about to chow down. 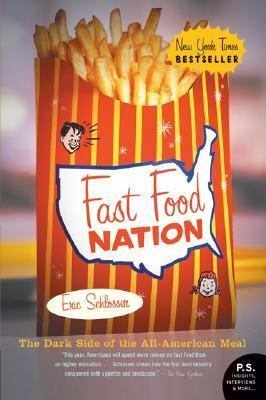 Fast Food Nation is available for check out from the Mission Viejo Public Library. Posted on October 19, 2015 by Leila S.
Have you ever watched Mean Girls? Or read anything pertaining to the stereotypical cliques found in modern high schools? Well, that is exactly what Janice Wills, an amateur anthropologist describes in this thought-provoking novel. Janice is a self-taught anthropologist, who is conducting research on the students and people in the Southern town of Melva, North Carolina. She became an anthropologist to distance herself from others, but this has led her to become a person she doesn’t want to be, someone who makes fun of the flaws of other people. But through the events leading up to the Melva Miss Livermush Pageant, the rite of passage for all girls in the town, Janice experiences a welcome change in attitude. This change was my favorite part of the novel. Often, it is hard to see how we appear to other people. In Janice’s mind, everything she said was from the point of view of “anthropology research.” But as her friends point out, her words are hostile. These comments give Janice an opportunity to reflect on who she is and who she wants to be, ultimately causing her to change. I loved the description of how she viewed other people after she changed, because it made me feel optimistic about the world. Though this novel was a very simple read, it did make me think. A lot of points that Janice makes are very accurate. For instance, the way that people from different levels in the hierarchy treat each other not only connects to other literature on the topic, but also to some of my own experiences. If you’re looking for a short book to read, I definitely recommend checking this out. Though the pages fly by, the themes remain relevant long after the book ends. 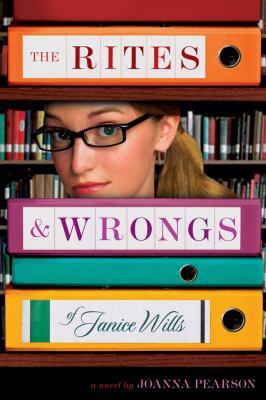 The Rites and Wrongs of Janice Wills is available to checkout from the Mission Viejo Public Library. Posted on October 18, 2015 by Nicole G.
When I first heard about this book, my brain zeroed in on the last name Chase. Related to Annabeth Chase, perhaps? Rick Riordan doesn’t fail to disappoint. Magnus Chase is her cousin (first cousins on their human side) and she is spotted immediately in the first chapter. I got so hyped about a new series from Riordan that ignored a minor oversight: I had little to no knowledge about Norse Mythology. Fortunately, Uncle Rick understands. There are some clues leading up to the reveal of which god Magnus is the son of. (Here’s a hint: it isn’t Thor) I just didn’t see it because I don’t speak runes. Most of the mythology stuff is explained to go with the plot and never seems like a history lesson. I’m not sure how accurate it is by saying dwarves listen to Taylor Swift, but I’m sure other ideas like the nine worlds is there. Expect some of the great humor that you know and love. The renaming of a sword to Jack. Ancient gods or goddesses referencing pop culture. First person internal dialogue with just a bit of sass. And the chapter titles. If I wanted to explain what the book was about, I would just display the table of contents because even though they seem random and bizarre, the chapter titles accurately describe an aspect in what happens next. I really don’t want to spoil any of it, but don’t expect another Percy. No one will ever live up to him anyway. This is a new kid, with a new personality, and a new story to tell. Is it better than Percy Jackson? No. But is it still worth the read? Absolutely. 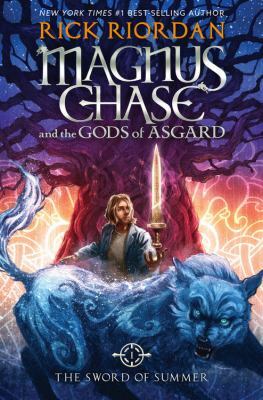 Magnus Chase and the Sword of Summer is available to check out from the Mission Viejo Public Library.